Sing, Sing, Ye Heavenly Choir! 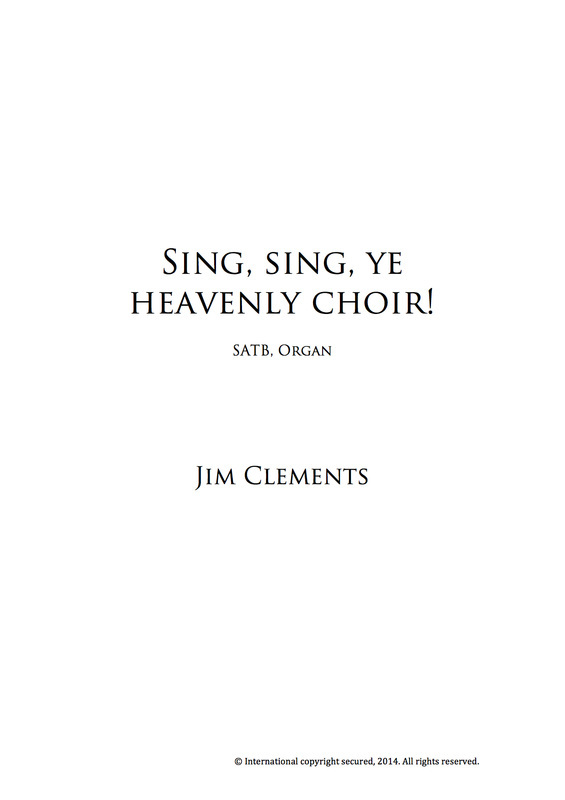 Jim has long enjoyed singing this text by John Mason to Ken Naylor's glorious hymn tune, Coe Fen. This setting, for the choir of Westminster Abbey, is currently mostly written, and should receive its finishing touches whilst Jim tours the USA with Stile Antico in October, 2013.